India is changing fast, and Hinduism is keeping up. Why did President Obama say this? His statement was probably a gentle response to reports that the Indian government has been silent in the face of growing Hindu nationalism and pressure against minorities on the part of some Hindu groups. Personally, I do not feel that it was the place of the U.S. president to insert himself into an Indian domestic debate over issues that are being exaggerated by the media. Nor is there much cause for worry. While some individuals have made disturbing statements (such as one individual saying that he would make India 100 percent Hindu), I believe that religious minorities in India have nothing to fear. India — and its historically Hindu population — have traditionally provided a tolerant haven for groups persecuted elsewhere, such as Zoroastrians, Tibetan Buddhists, and Islamic sects that have disappeared from the Middle East, such as the Bohra Muslims. While I would hardly claim that Hinduism among religions is unique in providing the basis for a tolerant society, there is something to be said for the theoretical basis of non-Abrahamic, non-monotheistic religions that allow for individuals to encounter the divine in a multiplicity of forms or deities. This allows for a truly multi-religious societal acceptance of religious diversity as opposed to mere institutional tolerance. Such a realization was made by the late Roman emperor Julian the Pagan (who tried to restore the Greco-Roman religion) among others in a variety of societies. Nonetheless, there can be no denying that Hinduism is increasingly changing to fit the conditions of the 21st century. 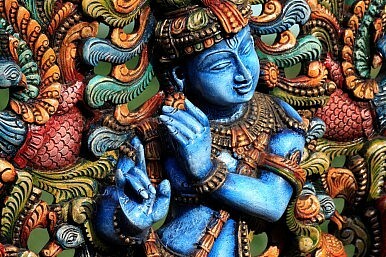 Hinduism is historically known for its ability to evolve, and many of these changes are interesting: they mostly represent an evolution to a more dynamic, philosophical mainstream Hinduism away from a folksy ritualistic religion. Hinduism is not the only religion to adapt to modern conditions: traditional Islam is undergoing this process too, giving rise to movements ranging from Salafism to Liberal Islam. What modern religions have in common is that the process of adapting to current conditions requires a process of consolidation due to improved transportation, media, and globalization. Additionally, a religion like Hinduism has been traditionally less organized than religions like Christianity and Islam with their singular holy books and doctrines. This is not to imply that there was no unity or any Hindu religion in the past. According to India scholars Catherine B. Asher and Cynthia Talbot, “although the religious beliefs and practices of India were never systemized by a central institution or spiritual authority,” there was “some semblance of a unified religious culture at the elite level by 1000 CE.” However, even at this level, there were multiple related philosophical systems and at the popular level, many different cults and sects. Many of these would probably be classified as different religions, if they were Abrahamic religions. Thus, when confronted by more organized religious systems, religions like Hinduism (as well as those such as Shinto and the Greco-Roman religion) tend to imitate these systems in order to consolidate. This process has often been referred to as the “Westernization of Hinduism.” An excellent article over at Quartz summarizes some of these trends in modern Hinduism. For example, the article notes that Hinduism will increasingly become monolithic and that a “single broad thread of Hinduism will dominate across the multiple regions and communities of India.” This trend is represented by the dominance of one scripture, among many, as the main Hindu scripture: the Bhagavad Gita, to be analogous to the Qur’an and Bible. Another notable change is that the deities of the Hindu pantheon will gradually lose importance vis-à-vis the few main gods, who are now being seen primarily as aspects of one God (hence the influence of monotheism on Hinduism). There are other interpretations within the Hindu tradition of the nature of gods and god but ones tending toward a sort of qualified monotheism are becoming prominent while local village spirits are becoming irrelevant. Human avatars of gods have gained in prominence because they represent the convergence of the supernatural with identifiable human social and political situations. I intend to write an article detailing traditional Hinduism and its practices at some point for those not familiar with it. All in all, the net results of these processes in Hinduism are to turn it into a more national, homogenous, and political religion, in a way it wasn’t before. I do not think this is a bad thing, per se. Hinduism evolved in the way it did in order to survive and it is obvious that a focus on minor cults and rituals will not cut it in the modern global marketplace of ideas. By adapting to modernity, Hinduism will be able to survive as a whole and preserve many of its unique ideas, which could otherwise have faded away. The deeper, more philosophical aspects of the religion have gained prominence because such things are more relevant to an educated population that can think critically. Esoteric rituals whose meanings are lost and anyhow irrelevant have faded in the meantime. Nonetheless, by understanding these processes in Hinduism, one can also see how Hinduism’s changed character can seem unsettling to many individuals who know a different very Hinduism from only a century ago. By becoming more political and less ritualistic and bounded by region and caste, Hinduism has emerged as a political and sociocultural force across India, one that is likely to be of great influence for the future. "The deepening of ties with the U.S. is one of the more significant success stories of Modi’s foreign policy."